SRINAGAR, MARCH 11: Advisor to Governor, Kewal Krishan Sharma today listened to people’s issues here at a public grievances redressal camp. During the camp, Advisor Sharma met several public delegations and individuals who apprised him about their issues and demands. Over two dozen delegations and individuals apprised the Advisor about their issues and sought his intervention to ensure time-bound redressal of their grievances. Vice Chairman SDA, Chief Engineer PHE, Chief Engineer R&B, Chief Engineer I&FC, Chief Engineer PDD, Director Local Bodies, Commissioner SMC, SE Hydraulic, Srinagar and several officers of the Governor’s Grievance Cell were present on the occasion. The representatives of Intizamia Committee of Masjid Iqra, Bemina, demanded development of Public Park in their area for which piece of land is available in the vicinity. The delegation informed that the development of Public Park would be of great benefit for the residents of the area. A delegation of Rafa-i-Aam Committee from Palpora, Srinagar demanded construction of drainage facility in the area. The delegation informed that the residents are facing hardships in absence of drainage system. They also demanded additional Transformer to improve power voltage in the area. A delegation from Safa Kadal informed the Advisor about their long pending demand of construction of drainage along the bund side. A delegation of PHD Chamber and Commerce thanked Advisor Sharma for taking various initiatives for the development of tourism in the state. 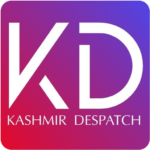 A delegation of Kashmir Youth Entrepreneur Federation apprised the Advisor about the various issues concerning the youth of the State. The delegation led by Babar Chowdhary suggested various initiatives that could help in giving flip to the entrepreneurial culture in the State. The delegation also put forward various issues regarding power tariff and other concerned issues related to the tourism and hospitality sector and sought the intervention of the Advisor for redressal of the genuine issues. A delegation of electric and civil contractors association informed the Advisor about their pending payments and sought his intervention in resolving the matter. A delegation of Ganderbal residents urged the Advisor to undertake rural development projects in their district for its development. 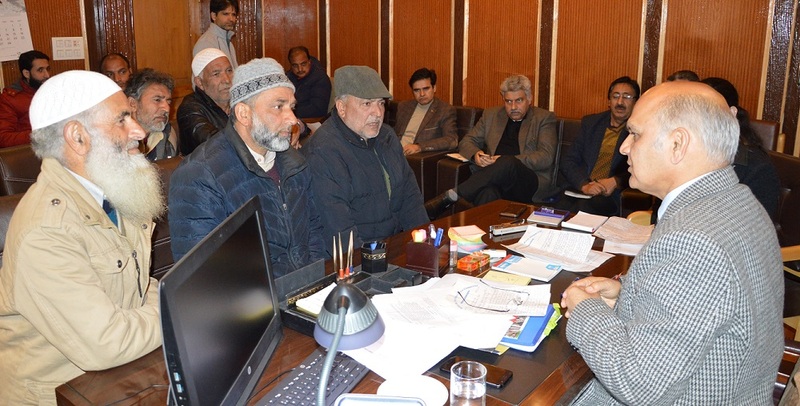 Among the other delegations which apprised the Advisor Sharma regarding their issues included JK Agro Association, JKFED, LAWDA, landscapers and Gardner Association, Diploma Engineers, Financial Assistant aspirants JKSPDC, Markazi Intizamia Committee, Zawoora and others. Besides, various individuals from various parts of Kashmir also appraised Advisor Sharma about their issues. During the public hearing, the Advisor gave a patient hearing to the delegations and assured them early redressal. He also issued on the spot directions to the officers for taking cognizance of the issues pertaining to their departments and redress of the same forthwith. He assured that the Governor’s Administration would ensure outcome-based disposal of the issues raised by the people.